Preseason basketball is here and with the season starting in less than three weeks. I rank the top 15 NBA players mostly by production from last season. 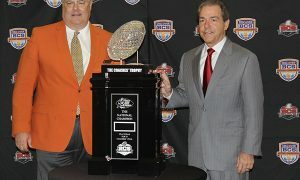 I also calculate their past seasons, but those seasons don’t have as of an big impact on these rankings. If you think I left anybody out feel free to post your top 15 players in the comment section below. We are starting to see some of the younger players reach their expected potential, which will make this season really fun. Here’s my top 15 players in the NBA. 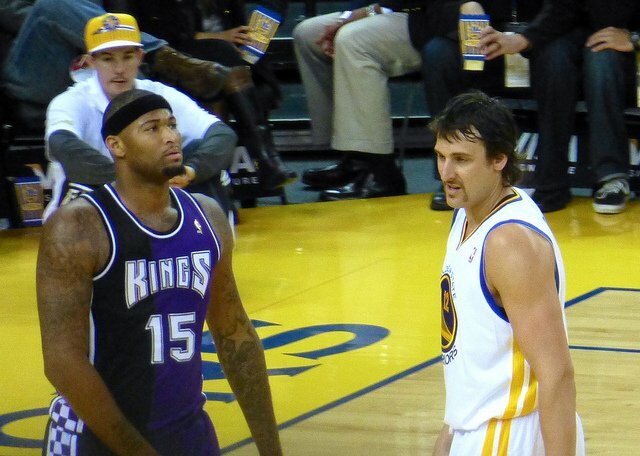 DeMarcus Cousins might be the most underrated player in the NBA. Cousins doesn’t get the attention he deserves because he plays on one of the worse teams in the NBA, the Sacramento Kings. Cousins had his breakout season last year, averaging 22.7 points per game and 11.7 rebounds per game. He finished third in the NBA last season in double-doubles with 53, he was second only to Andre Drummond and Kevin Love. Cousins has improved every season since his rookie season. Cousins still needs to work on his defense of skills, but I expect him to improve greatly and for him to become a quality defender. I predict that Cousins will be a top 5 scorer in the NBA this season. He will have a lot more responsibilities on offense this season after the Kings traded away their starting point guard Isaiah Thomas who averaged over 20 points per game. I predict Cousins will average 24.5 points per game and 12.1 rebounds per game. LaMarcus Aldridge has been one of the better players in the NBA for the last five season. But last season was without a doubt his best. Aldridge averaged 23.2 points and 11.2 rebounds per game. He finished tenth in NBA last season in double-doubles with 40. 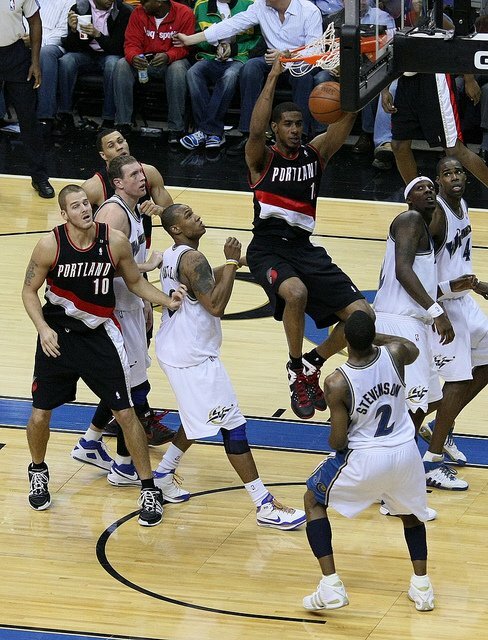 Aldridge helped lead the Portland Trail Blazers win their first postseason series since 2000. The Trail Blazers failed to have any legitimate backups last season and Aldridge was forced to play 36.2 minutes a game. You could tell he was worn down at the end of the season. Portland went out and found some good backups, so you should expect to see Aldridge and the Trail Blazers make a run in the playoffs. I predict Aldridge will average 23.2 points per game and 12.7 rebounds per game. Kobe Bryant struggled with a knee injury last season and only played in six games. I know I said these ranking are based on performance last season, but Bryant still is a top 15 player and one of the greatest players of our time. 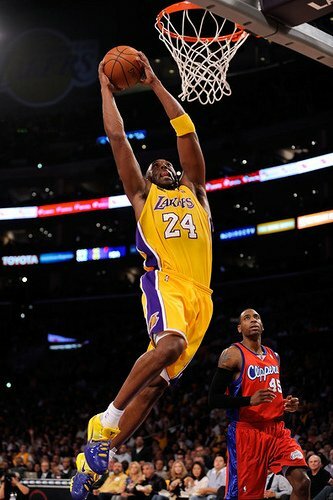 In the 2012-2013 season, Bryant finished with 27.3 points per game. The Lakers had the second worse record in the Western Conference last season, but they are greatly improved. They brought Carlos Boozer and Jeremy Lin in to vastly improve. Bryant will have the pieces around him to have another great season. 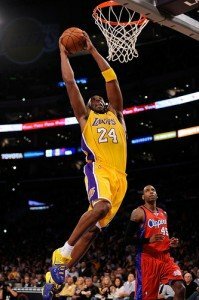 I predict Bryant will average 26.3 points per game this season. John Wall had his best season of his career last year putting up 19.3 points and 8.8 assists per game. 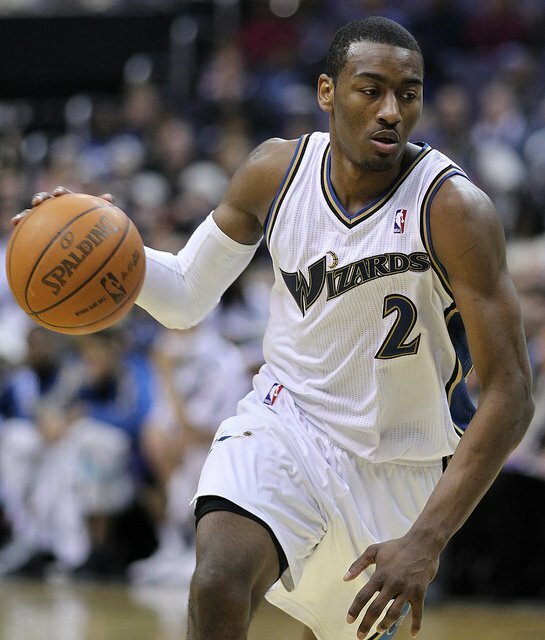 He is also an excellent defender, with the Wizards allowing 2.5 points per 100 possessions when Wall is on the court. Wall led the Washington Wizards to their first playoff appearance since 2008 and their first series win since 2005. I look for Wall to be a top 10 scorer and to finish in top 5 for assist. I think Wall will average 22.6 and 9.2 assist per game. Damian Lillard is entering his third NBA season and he has not missed a game during his first two seasons. Lillard has averaged 20.7 points per game and 5.6 assist per game. He really grew up during the playoffs last season, leading the Trail Blazers to their first playoff series win since 2000. Portland beat the Houston Rockets in six games, with Lilllard hitting the game and series winning three at the buzzer. I predict that Lillard will average around 22.8 points per game and 6.4 assist per game this season. 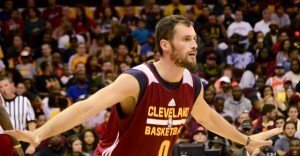 Kevin Love is entering his first season with the Cleveland Cavaliers and hopes to make the playoffs for the first time in his career. This is Love seventh season in the NBA and he’s been to the All-Star game three times. Love finished fourth in points per game last season averaging 26.1. Love also finished third in rebounds per game at 12.5. I look for Love to have another great season averaging 23.1 points per game and 15.3 rebounds per game. Most people know Blake Griffin for his highlight real dunks, but most don’t know that he is actually a well rounded player. Griffin averaged 24.1 points per game and 9.5 rebounds per game and made his fourth consecutive All-Star game. Griffin has small arms for a man his size and that keeps him from being a notorious shot blocker, but he has turned into a good defensive player since Doc Rivers arrived in Los Angeles. 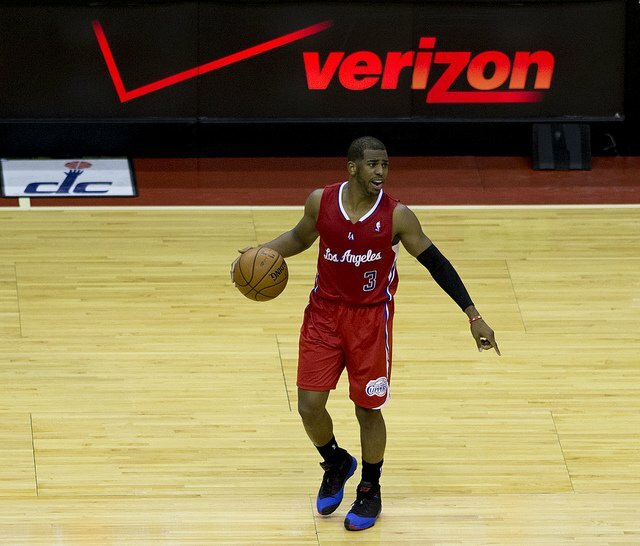 The Clippers made the playoffs last season and expect them to be right back there this season. 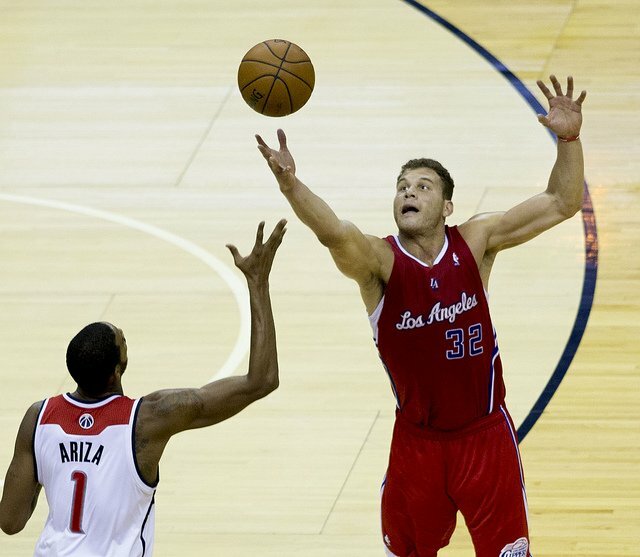 I predict that Griffin will average 24.2 points per game and 11.4 rebounds per game. Dwight Howard is one of the most dominating players in the NBA, he averaged 1.8 blocks per game and 12.2 rebounds per game last season. Howard has made the All-Star game the last eight seasons, averaging 18.3 points per game. Howard had trouble with the Lakers, but got back to his old self last season. 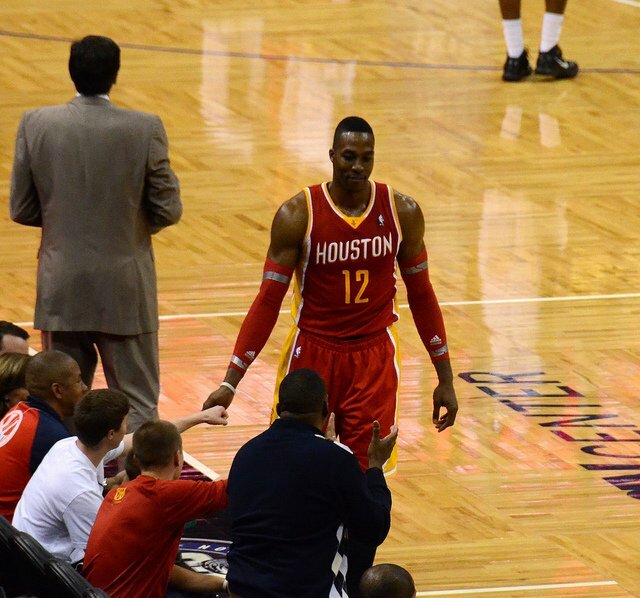 He helped lead the Rockets to the playoffs, where they lost to the Trail Blazers in six games. 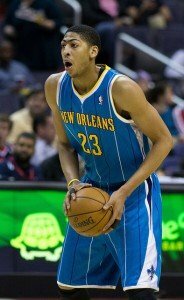 I predict Howard to average 2.1 blocks per game, 14.3 rebounds per game and 20.1 points per game. 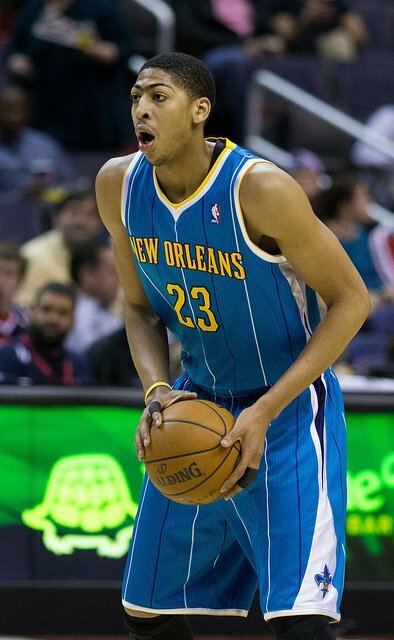 Anthony Davis is quickly becoming one of the better players in the NBA, and he’s only 21. Last season he led the league in blocks per game with 2.8, he also averaged 20.8 points per game and 10 rebounds per game. Davis became the youngest player at 20 years old to lead the league in blocks and average 20/10. I predict that Davis will again lead the league in blocks with three per game. I also predict he will average 21.2 points per game and 12.1 rebounds per game. 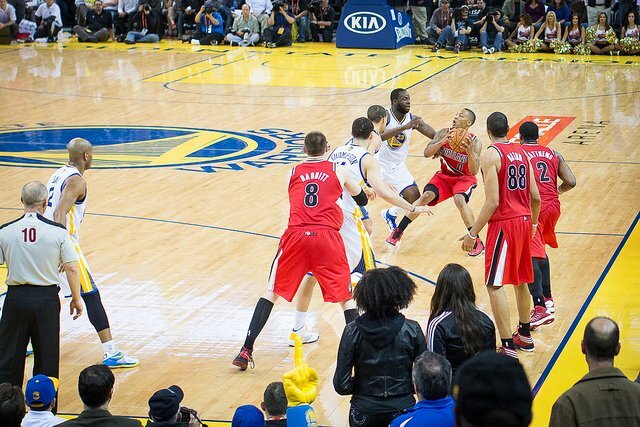 Stephen Curry is without a doubt the best three point shooter in the league. 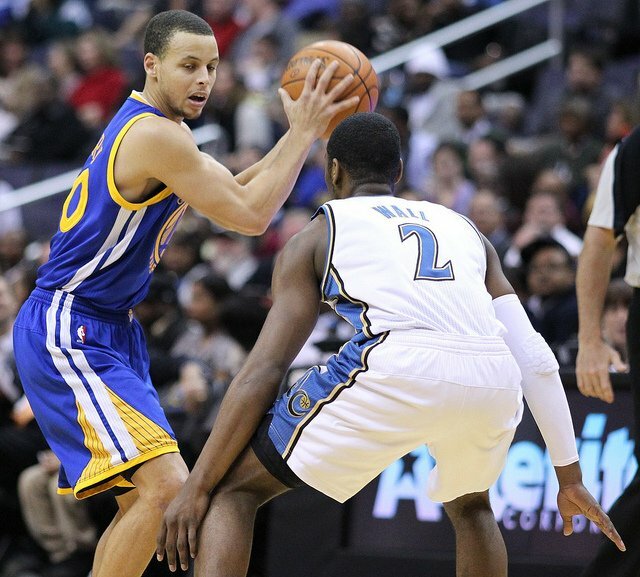 Curry averaged 24.3 points per game, he also finished fifth in assists with 8.5 per game. Curry became the first player in NBA history to shoot over 42 percent from behind the arc and average seven three point attempts per game. He is also a good rebounder, for being a guard averaging 4.3 a game. Curry led the Warriors to the playoff for the second straight year and expect him to take them their again. I predict that Curry will average 26.5 points per game and 9.3 assists per game. Russell Westbrook had an impressive playoffs, averaging 26.1 points, 8.1 assist and 7.3 rebounds per game. Even with that incredible performance the Thunder lost in the Western Conference Finals to the Spurs. During the regular season Westbrook, averaged 21.8 points in only 46 games, he struggled with a knee injury. He looks to back in full health as the Thunder look to get back to the NBA Finals. 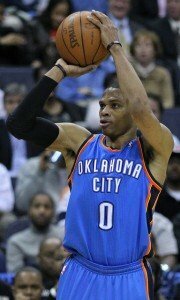 I predict Westbrook will average 23.4 points, 8.2 assist, and 7.7 rebounds per game. Carmelo Anthony had another excellent season in New York, but distractions from teammates and plenty other things caused the Knicks to miss the playoffs. Anthony didn’t let the distractions get to him as he averaged 27.4 points and 8.1 rebounds per game. He remained consistent the whole season and I expect him to be that same player on a better team this season. 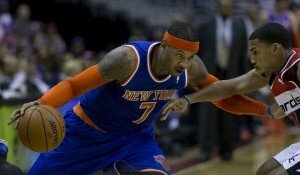 I predict that Anthony will average 27.6 points and 7.3 rebounds per game. Chris Paul was great during the playoffs last season averaging 19.8 points per game and leading the league in 10.3 assists and 2.8 steals per game. Paul lead the league with 2.5 steals and 10.7 assists per game during the regular season, while averaging 19.1 points per game. Paul is the best point guard in the league and that won’t change for a few more years, as he doesn’t turn 30 until May. I predict that Paul will lead the league with 2.7 steals and 11.2 assists per game and he will average 19.5 points. Kevin Durant is without a doubt one of the best players in the world and he proved that last season, winning the MVP and leading the league in scoring. Durant averaged 32 points, 7.4 rebounds, and 5.5 assists per game and he led the Thunder to another Western Conference finals, which they lost to the Spurs. 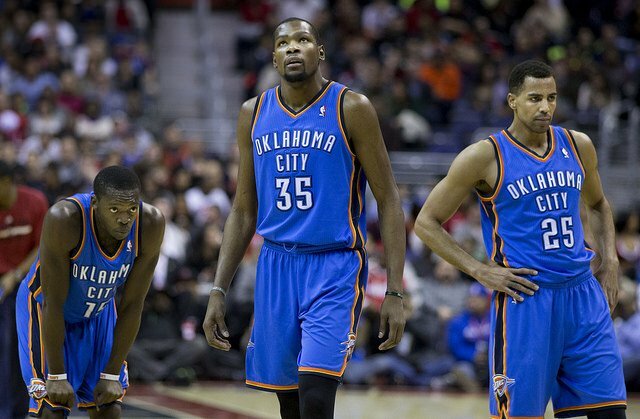 Durant is just 25 and he’s only getting better and I expect him to lead the Thunder to the Finals this season. 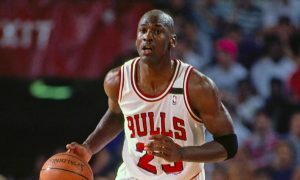 If it wasn’t for one of the greatest players ever Durant would be number one and it wouldn’t even be close. I predict Durant to average 29.7 points, 8.5 rebounds, 5.3 assists per game. 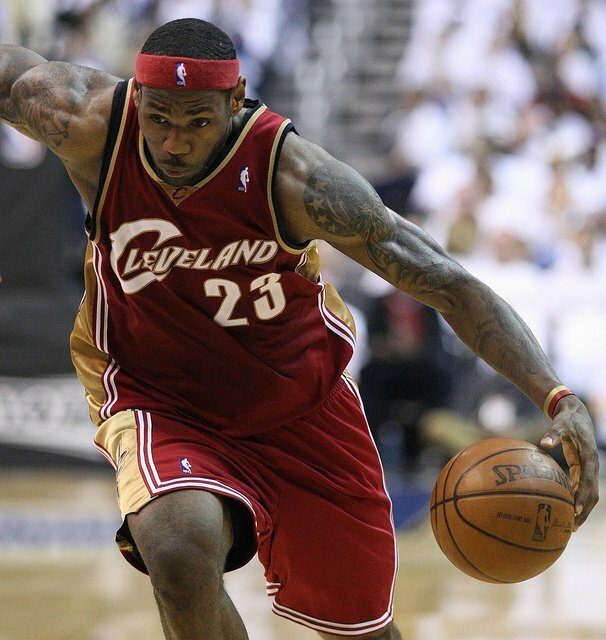 LeBron James is back with the Cavaliers after leaving in 2010, and Cleveland fans are excited he’s back. James has now won two NBA finals since leaving Cleveland and fell just short last season losing to the Spurs. LeBron averaged 27.1 points, 6.9 rebounds, 6.3 assists per game in his final season with the Miami Heat. 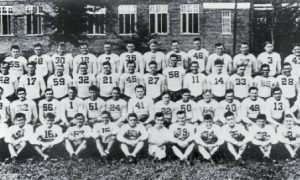 He did have a stellar supporting cast around him at Miami and now Cleveland has put together even a better team. The Cavs went out and traded their number one pick Andrew Wiggins to the Timberwolves for Kevin Love. Cleveland also has All-Star point guard Kyrie Irving and they now have their on big three. I predict that the ten time All-Star LeBron James to have a big season, averaging 29.4 points, 7.3 rebounds, and 6.5 assists per game.